I did get you to think about the possability though right? RIGHT? 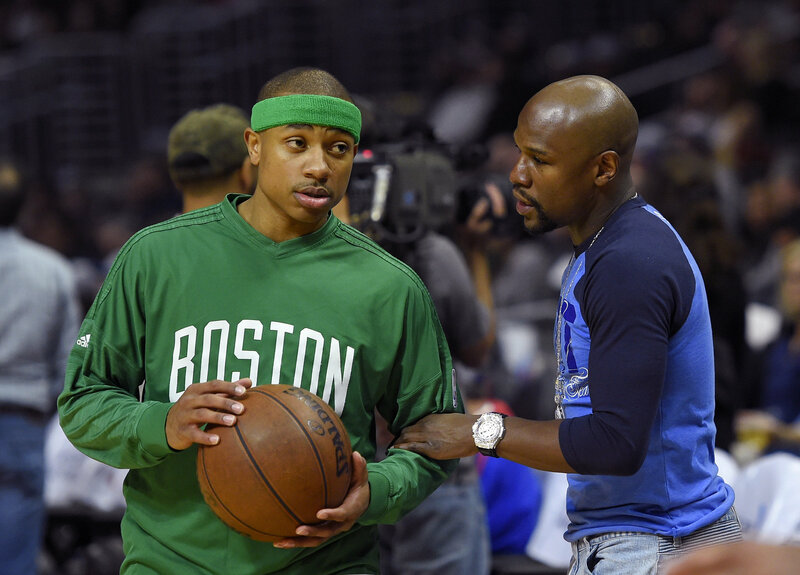 As you may know, Floyd “Money” Mayweather is a very good friend of Boston Celtics All Star Isaiah Thomas. They do have something interesting in common: They are both 5’9″. Another thing they’re both known for is their speed and agility. Floyd Mayweather is undefeated in the ring no contest and like his basketball counterpart, welcomes the challenge of facing bigger opponents. On that note, Mayweather booked a celebrity boxing match with UFC’s Connor McGregor for later this year. Getting back to the original topic though. Mayweather could probably have a decent albiet short–pun intended–NBA career. It certainly helps he has an NBA All Star as a workout partner! Could have a real shot at getting signed in the NBA? Probably not but any team willing to give him a shot knows if anything, he’d bring in alot of money. News revealed to be unconfirmed this afternoon is now official: Gordon Hayward is taking his talents to Boston. Hayward will sign a 4-year $128M contract with the Celtics, who were looking for a secondary scorer going into the offseason. The Celtics got just that when they drafted Jayson Tatum two weeks ago. 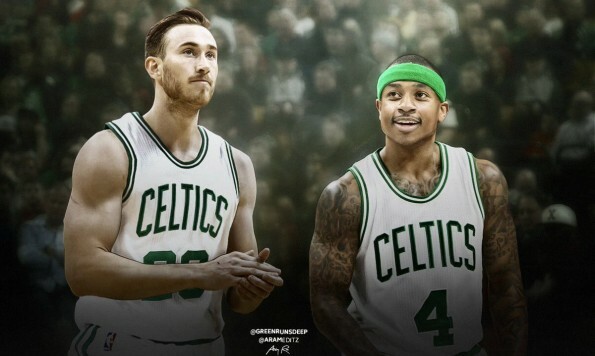 With Hayward, it’s fair to say the Celtics are guaranteed to return to the Eastern Conference Finals this coming season. …Mind you, the Celtics getting Hayward means they will have make room before he can be officially signed to the team. Minutes after the Hayward deal was announced, the Celtics announced they have released the rights to Kelly Olynik, making him an Unrestricted Free Agent. More players can be expected to be released, most of them draft picks from this year and last year currently stashed either overseas or in the D-League. Excluding Olynik and the draft picks stashed elsewhere, the Celtics have the rights to 19 players (!). Reports are coming in the Celtics are now fielding trade offers for Jae Crowder and Marcus Smart. Crowder’s name has come up as being part of a package deal. The 76ers announced over the weekend they signed Amir Johnson to a 2-year contract. Tyler Zeller was also waived over the weekend. The Celtics probably won’t have to give up everyone listed but at least half if I had to guess. The Celtics will likely part with either Smart or Crowder but I will not be surprised if they’re forced to give up both to make cap room. It’s worth noting who I did not name in the above list. Isaiah Thomas will be an unrestricted free agent after the upcoming season but in light of the Hayward deal, you can be sure the Celtics will negotiate a new contract with the King of the 4th. They’d be fools not to. Al Horford and Gerald Green joined the Celtics during last year’s offseason. Jaylen Brown was drafted last year and will be joined by Ante Zizic, who was also drafted last year but played in Europe last season. …Next year promises to be real interesting now that the Celtics, who are now a legit threat to the Cleveland Caveliers in the East. The Wizards and Raptors will no longer be a threat to the Celtics or rather, they shouldn’t. Paul George and Jimmy Butler going to the Western Conference means the only real threat to Boston is still Cleveland. You now have the starting lineup of IT, Horford, Brown, Tatum and Hayward. The next thing the Celtics will need to work on during the offseason is making sure they have enough players who can come off the bench to relieve the starters. LeBron James commented after Game 1 of the ECF the thing that makes the Celtics a challenge is how many options they have to go at you. No doubt the Celtics will want to keep enough supporting players to keep the rest of the east on their toes. As of this morning, Kelly Olynik has signed on with the Heat and Avery Bradley has been traded to the Pistons. The Celtics have reportedly been “aggressively” shopping Bradley, Crowder and Smart in the last few days to make room to sign Gordon Hayward. 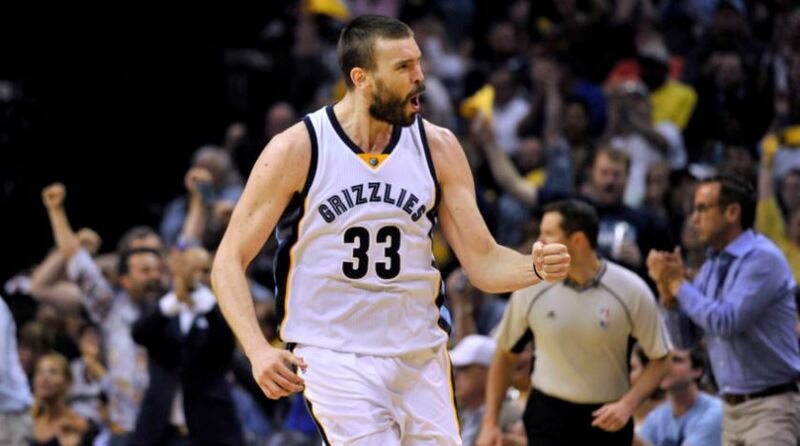 They have also released Olynik, Amir Johnson and Tyler Zeller. The Bradley Trade creates enough cap space for Hayward to be signed though they still might have to deal Crowder or Smart, likely in a trade. Bradley’s gonna be a core player in Detroit and could make the All Star team this season. Everyone knows what he can do so…yeah. It’s sad to lose him like this but he’ll flourish with the Pistons.